Final Disposition, sold by the State Department, 13 February 1948, fate unknown. 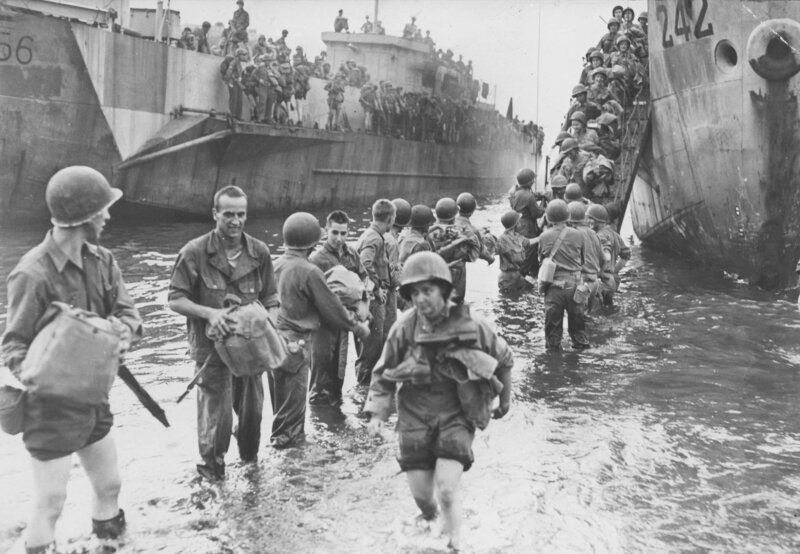 93k HM LCI(L)-256 and HM LCI)L)-242 disembarking American army nurses in Naples harbor, while a human chain passes supplies to dry land. Nurses were desperately needed during the early days of Allied occupation.